Make sure that in server side validation for checking the origin header value, you are comparing with absolute value and NOT with regular expression. 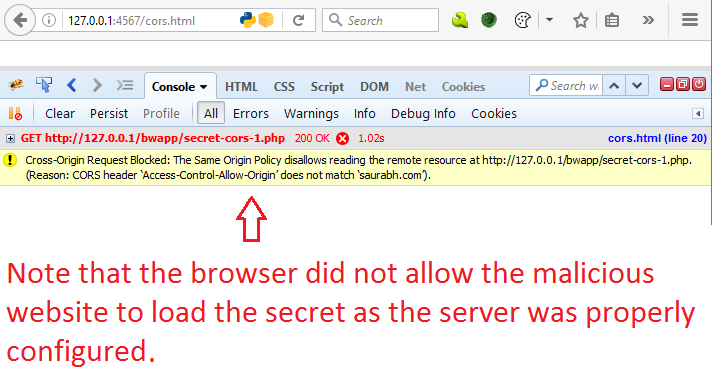 What if the Origin header is spoofed? 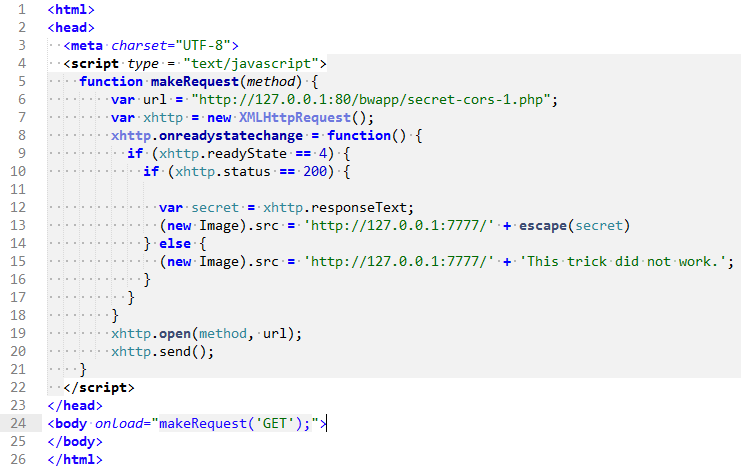 User Alice is tricked into visiting website M which tries to perform CORS action on server example.com that supports it. The domain example.com will be listed in website M’s list of allowed domains. So, the request will be rejected. The important point here is that M cannot spoof the origin header because the request is initiated from Alice’s browser. This can be done by Alice using a local proxy tool. But why would a victim hack himself, so this scenario is not real. Another way, an attacker can do this, is by intercepting the request being a man in the middle. But if the attacker has access to the traffic, then capturing cookies and session ID are better options rather than changing the Origin header.